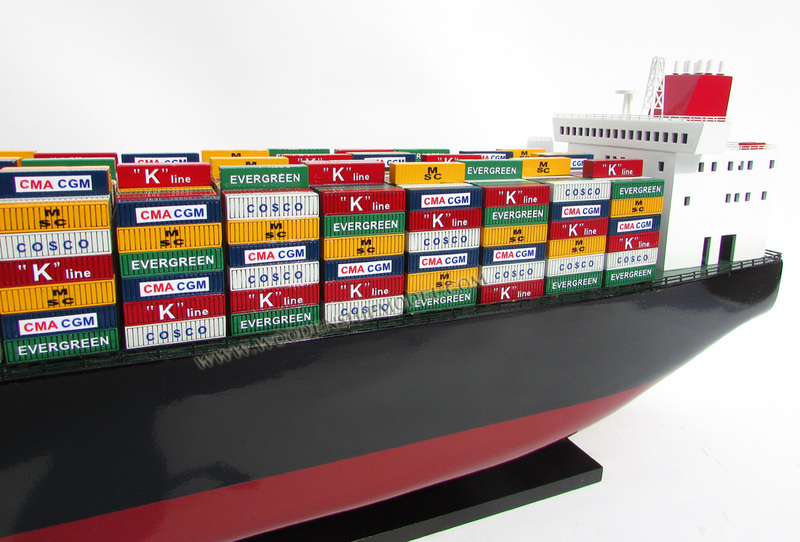 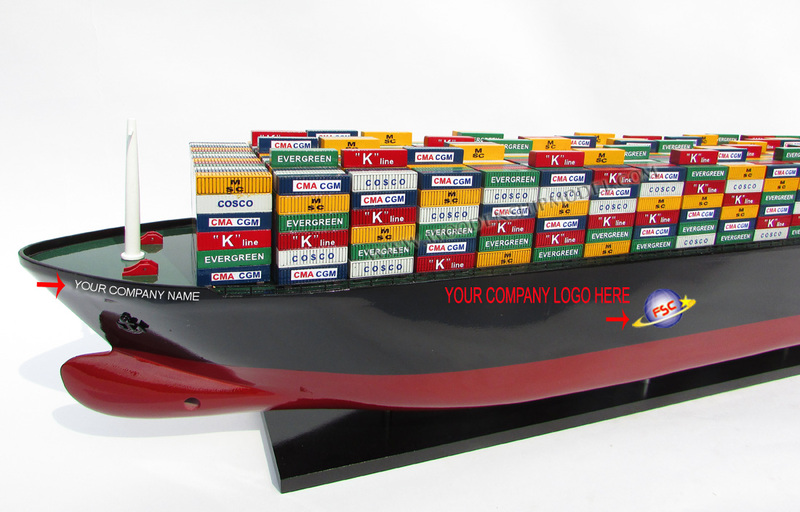 We do custom make the ship with your company name and your logo on the ship, on the containers. 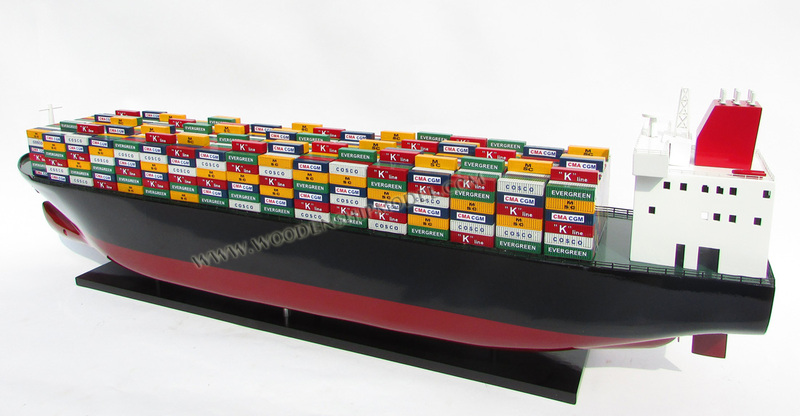 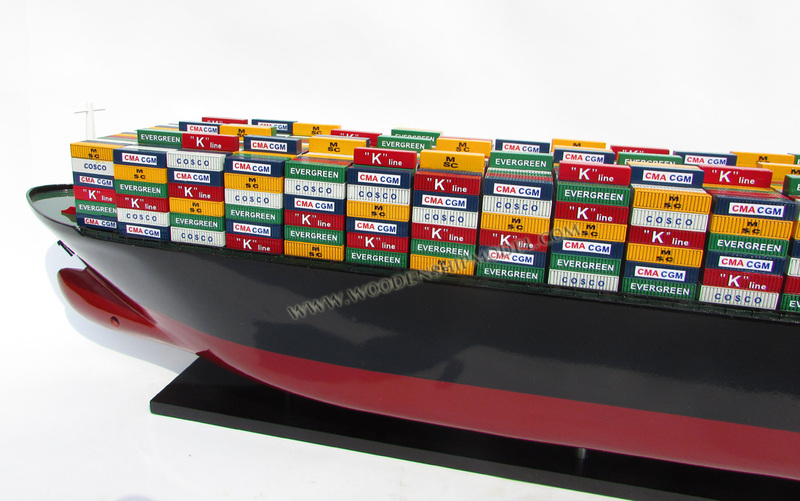 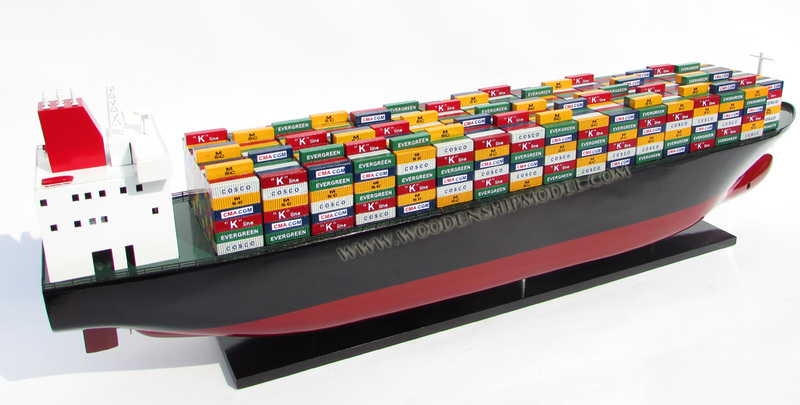 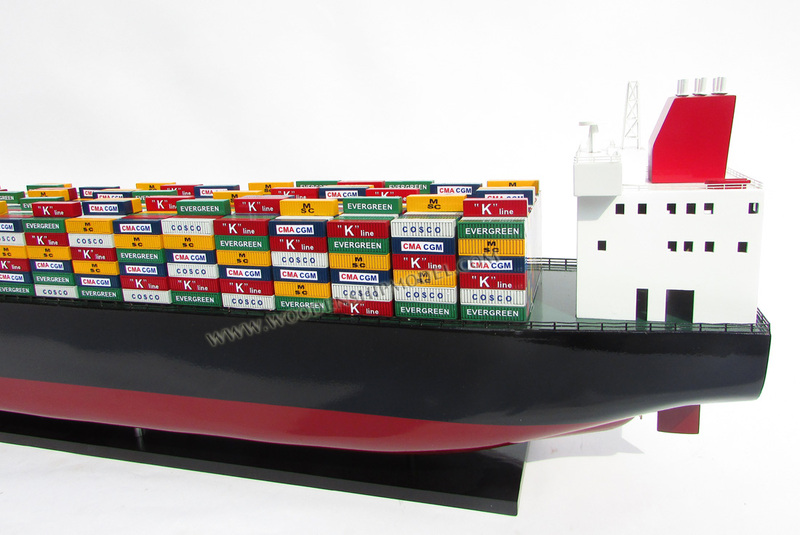 This model is suitable for shipping agencies, forwarders or brokers to display in their office or it is a valuable present to their potential customers. We do have display case available to preserve and enhance the value of the model. 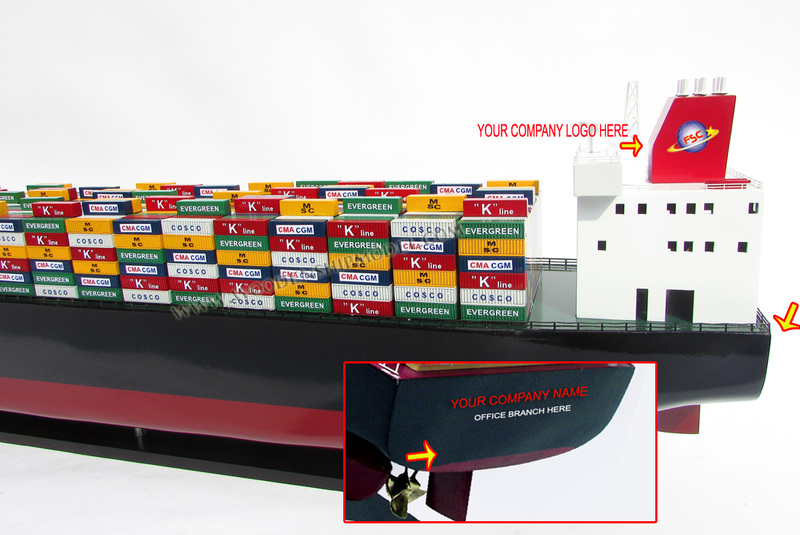 International please feel free to contact us at sales@gianhien.com or USA contact us at info@ga-ni.com for any further question.